Dorogoi Dlinnoyu is one of two or three popular Russian songs which were among other main English-American pop songs. In 1968 the record Dorogoi Dlinnoyu with the English name Those were the days happened to be one of the best-selling ones. But this song was written by Fomin B. who was working in the romance genre. He wrote it specially for the singer and poet Belgoroskaya E. who was performing lyrical songs. The lyrics of the song Ochi Chyornye were written by Grebyonkin E. This classical Ukrainian prose author published more than 40 poems in Russian. One of them became a Russian folk song and another one became the gypsy romance Ochi Chyornye. The composer of the song is a musician descending from France called Florian German. The melody which was used as a musical footing was initially called Russian daydream (Russkie gryozy) and Waltz-greeting (Val’s-privet). The romance was mentioned in fiction, particularly in Krestovskiy and Chekhov’s works. Stars-entertainers were singing it and jazz bands were adapting it in the XXth century. Kalinka is mistakenly considered to be a folk song. The composer, musician, band-master, music critic, folklorist Larionov I. is the author of the world-known song Kalinka. He wrote it in XIX century. It became popular due to the Alexandrov Ensemble (the Red Army Choir). This song was performed for the first time after World War II. Russian and other restaurants in the world take a fancy to the name of the song. It’s used as a synonim of everything that’s Russian. The music to Kalinka is quite often used as a soundtrack during breaks between hockey matches. The song Podmoskovnie vechera (Moscow Nights) is in the Guinness Book of Records as the most performed Russian song. The composer Solovyov-Sedoy made up this melody but thought of it as an unsuccessful one. He came from Leningrad so he named it Leningrad Nights. It was written as a soundtrack for a film about sport. But the song became popular after it was played on the radio. No concert, no radio program were arranged without this song for years. People all around the world love and sing this song. The song Katusha became really popular during the Great Patriotic War. It was a specific social phenomena. Millions of people perceived the heroine of the song as a real girl who loves the soldier and is waiting for the answer. People were writing letters to her. The name of the song was used as a name of a new weapon which was a rocket mortar. The song has become popular in Japan in recent years. A lot of Japanese people consider the song Million Scarlet Roses as a Japanese one. A local singer translated it into Japanese. The lyrics are based on a real love story of a Georgian painter. He fell in love with a French actress who was touring in Tiflis. First a song in Lettish called V dar Marine (As a gift to Marina) was written for this melody. It had already been popular in Latvia and it gained popularity performed by Alla Pugacheva in the Soviet Union later. You couldn’t exaggerate the Russian band Gorky Park’s success in the US. Its single Try To Find Me ranked at №81 on the Billboard Hot 100. The song spent 6 weeks on the Hot 100. The album Gorky Park peaked at №80 on the Billboard Hot 200. It spent 21 weeks on the chart. They sold 300,000 copies of their album in America. The band achieved a bigger success in Scandinavia. They became the first Russian band to get on the American hit parade. The singer and entertainer Eduard Khil is known in the world as Mister Tro-lo-lo. He was named so after the song of the same name which was put on Youtube in 2009. Since then he had become superpopular abroad. Khil was said to be offered an international tour but he rejected the offer. Mister Tro-lo-lo became a meme.The New York Times wrote about his death. The song Tro-lo-lo was recorded without words. It was his business card. There have been a lot of parodies on the song. Even the actor Christoph Waltz who was nominated for an Oscar recorded his variant of this song. Vitas who is known for his unique voice performed falsetto the composition Opera №2. This song made his world famous. He hit high notes in it. From 2004 to 2006 he was touring in the US, Canada, Australia, Israel and the Baltic countries. In 2005 he was performing in Asia. Vitas wrote Opera №2 when he was 14. He performed it in restaurants. The theme of the song is loneliness. 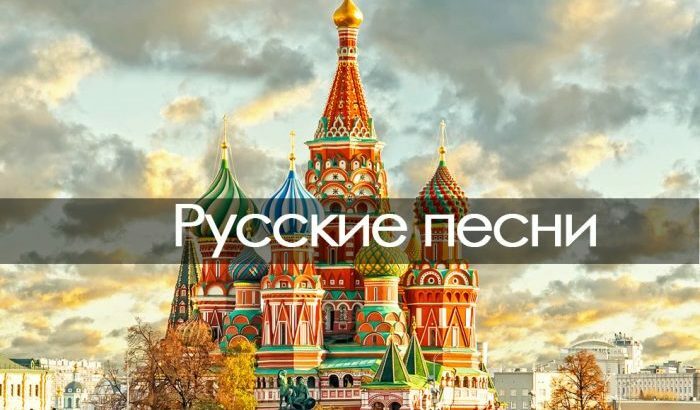 Music beautiful russian songs, good russian songs, old russian songs, popular russian songs. permalink.